Steps to access eBooks online on a PC/Mac. 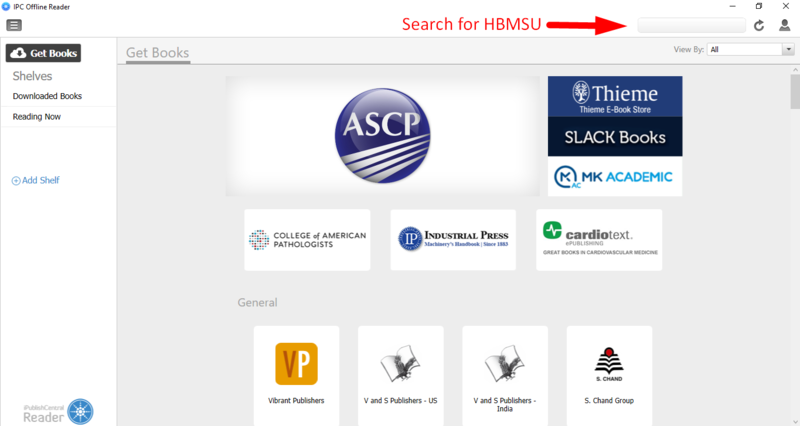 Step 1: Open the eBooks site https://estore.hbmsu.ac.ae/ on any modern browser( Ex:Google Chrome, Mozilla Firefox, Microsoft Edge etc). Step 2: Click on the Login option located on top of the eBook site and Sign-In with your registered credentials (Username & Password). Step 3: Once you are successfully logged in, you will be redirected to your Bookshelf page. 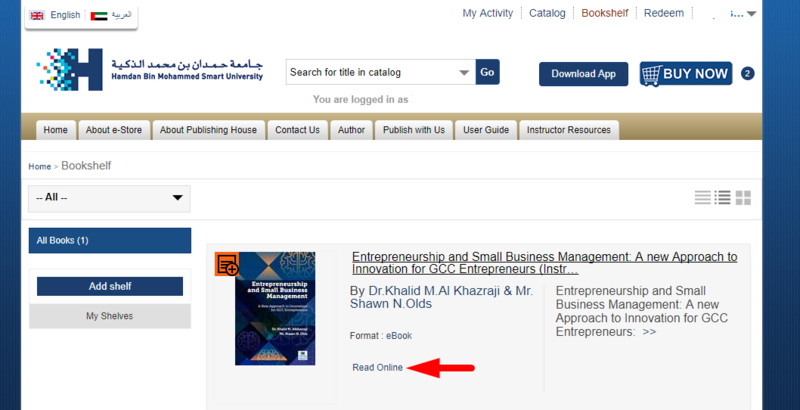 Step 4: You will see your subscribed eBooks with Online Reading Options. Steps to access eBooks offline on a PC/Mac. To access your subscribed eBooks offline, you need to install the iPublishCentral Offline reader for Windows / Macintosh. Once, you login to the site using your account you will notice a “Download App” option towards top right. Click on Download App button to go to installation page. Click on the Download iPublishCentral Reader for Windows / Macintosh (As shown below) button to setup iPublishCentral reader on your system. Your subscribed eBooks will be displayed as shown below. Tap/Click on it initiate Download. 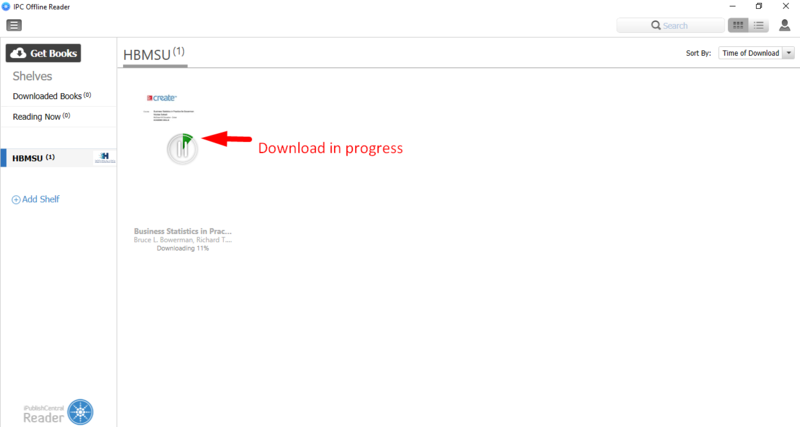 Once the download is complete, Click on the Cover to open the eBook. 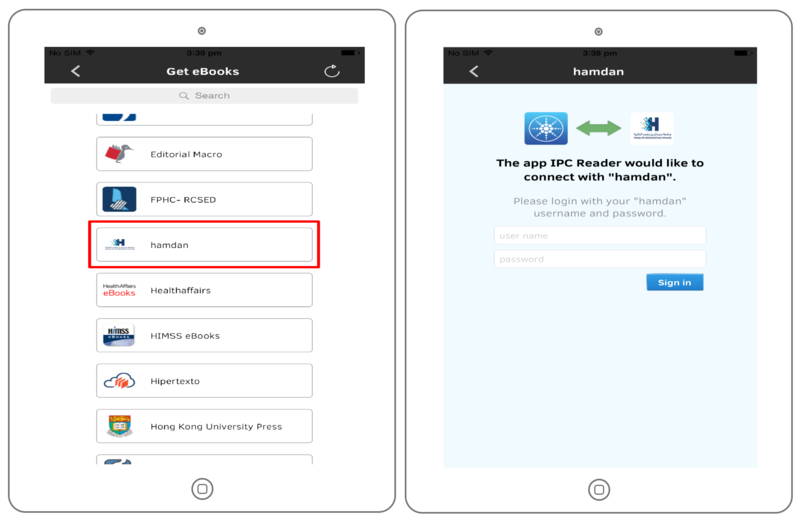 Steps to access eBooks offline on an iOS device (iPad and iPhone). 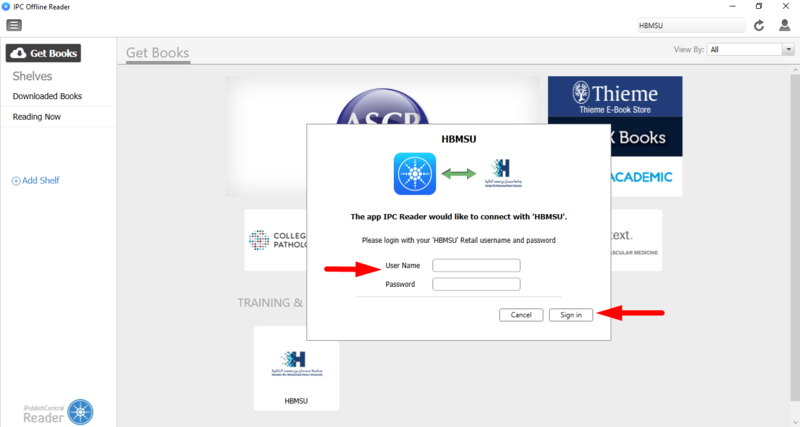 Step 1: Download the iPublishCentral Reader from the App Store. 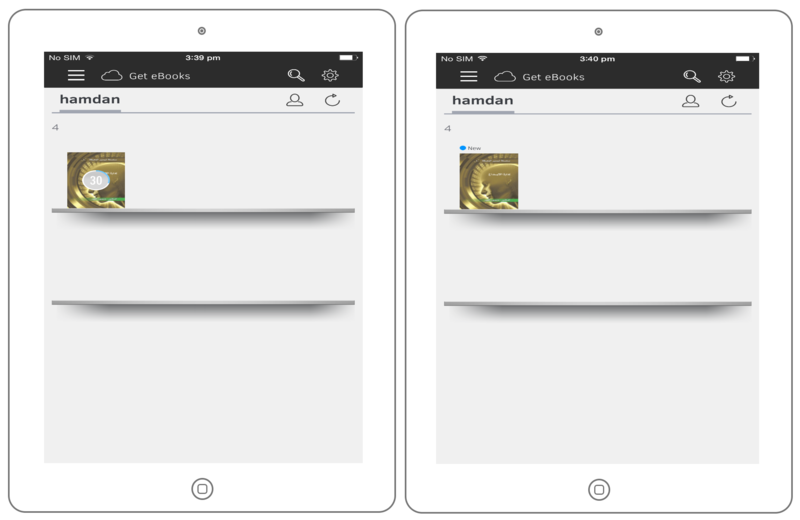 Step 2: Tap on Get Books and Select Hamdan from the drop down. Step 3: Login to the app with your username and password. Step 4: Tap on the eBook Cover to download. Step 5: After the eBook is downloaded, tap on the eBook to read offline. 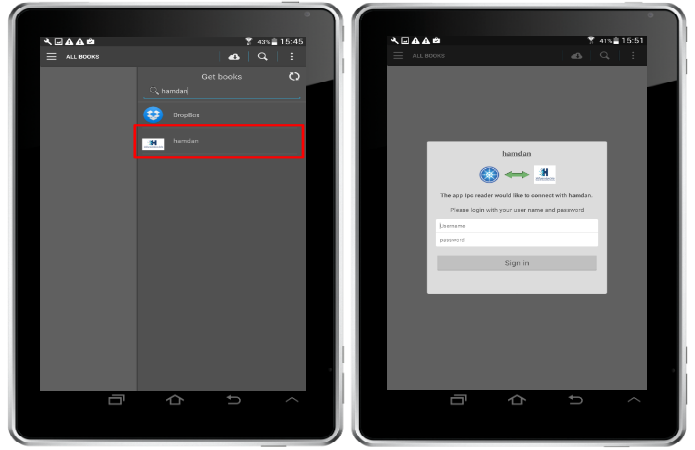 Steps to access eBooks offline on an Android device. 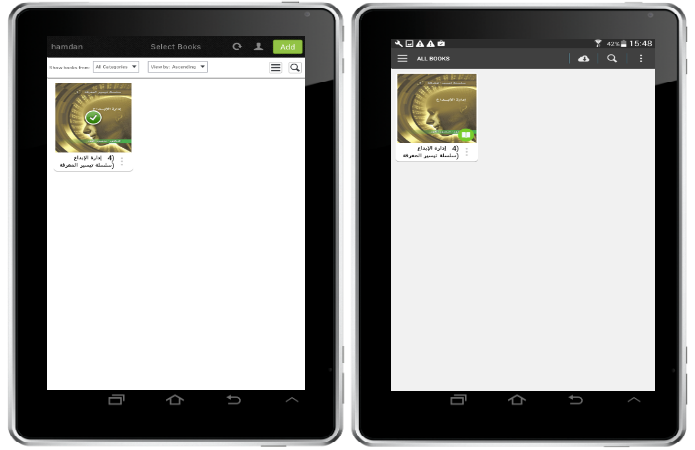 Step 1: Download the iPublishCentral Reader from the Play Store. Step 5: Tap on the eBook to read, after download is complete. On successful login on the eStore, Bookshelf page will be displayed as shown below. The subscribed books will be displayed on bookshelf page. Click Read Online to open the reader. Below image shows the Reader page of an online reader. Table 1: Brief description about the Reader page. 1 TOC(Contents) Indicates the Contents of the reader. 2 Selection Tool Helps to select a word/sentence/paragraph to add an highlight and note in a page of any reader. 3 Add Sticky Note Helps to add a sticky note anywhere on the page of a Reader. 4 Add Bookmark Helps to add bookmark for current page of a Reader. 5 Zoom Settings Helps customize zoom settings and view. 6 Search Text Box Helps search a keyword in the entire reader, that lists corresponding word highlighted along with respective page number and chapter name. 7 Settings Helps to customize the reader settings. 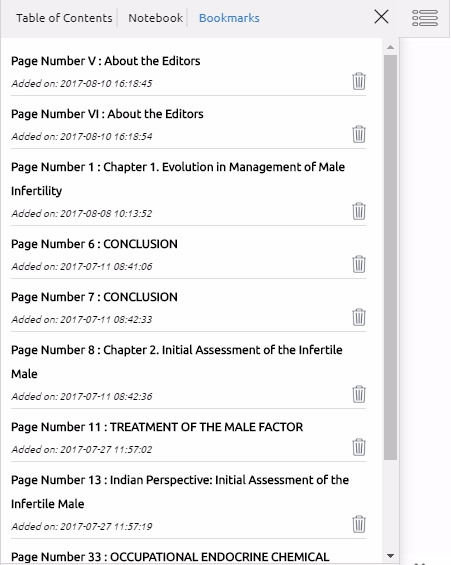 8 More Helps find citations, print the pages and view the reader in full screen mode. 9 Reader Body The book content is displayed here. 10 First Page Navigate to first page of the reader(Cover). 11 Seek Bar Go to particular page by sliding the seek bar. 12 Previous Button Navigate to previous page. 13 Number Text Box Go to page and indicates the current page number and informs remaining pages to be read. 14 Next Button Navigate to next page. 15 Last Page Navigate to last page of the reader. The TOC has list of the chapter names and sub-topics under the chapters. This helps the user to refer chapters quickly in the book that is currently opened and can view either in list-view or thumbnail-view. The user can search for keywords in TOC from the search text box. Click on X button to close the TOC view. The Notebook tab consists of a list of all the annotations types added namely highlights, highlight with note and sticky note. The annotations can be further sorted based on highlight,highlight with note and sticky note by clicking on respective radio button. Default all the objects will be displayed. Select any color available from the color pallet in Filter by option to filter the notebook list based on colors. Filter by option also filters the Underlined annotations by clicking on Underline button. Underline default takes black color. In case of 'Sticky Note' Underline option is disabled. Sort by helps to sort the annotations based on Date modified and Chapter names. Click on the annotation to navigate to the page. Click on delete button to delete the annotation. To see more features of an annotation, tap the down arrow button. 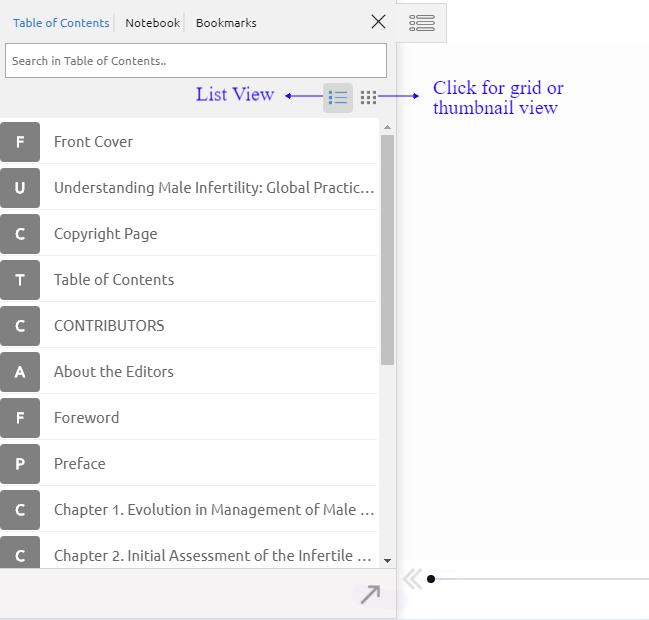 Figure (a) and (b) gives brief idea of NoteBook tab view. The options available in the 'NoteBook' tab are as follows. Click on All to list all annotation objects along with respective color indication on its left. Click on Highlights to list all highlights. Click on Highlights with Notes to list only notes associated with highlights. Click on Sticky Notes to list only sticky notes. Displays list of the Bookmark added by the user. Click on the bookmark to navigate the page bookmarked. Click on delete button to delete the bookmark. Click to add highlight, highlight with note or copy the text. Click to add sticky note in the reader. Click to add or remove a bookmark. Click to select the desired page display from the dropdown menu. The reader can be fit to height, fit to width, zoom by 100%, 200 % or can select custom zoom with a slider. Performs search in the entire document for the keyword typed in the search text box and displays the result. Click on any item from the list to navigate to the page where the word is present. The searched word is highlighted. Note: The web PDF reader does not currently support Boolean search and exact text search. The following reader configurations can be set from the settings menu:. (a) Remember last read location - Takes the user to the last read when the user subsequently opens the book. 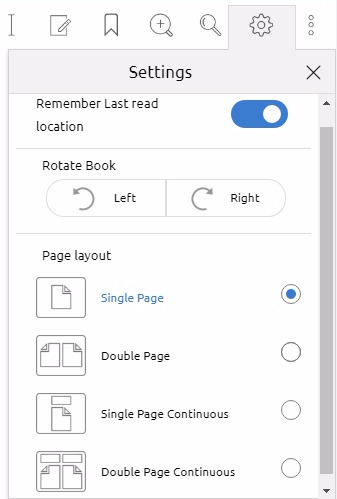 (b) Rotate Book - The entire book can be rotated according to the reader preferences. (c) Page Layout - The page layout can be changed according to the user's comfortability. In Single Page option the user has to click on next button to navigate through pages. In Double Page option the user has to click on next button to navigate to next spread. In Single Page Continuous option, the user need to scroll to view pages one below the other. The Double Page Continuous helps the user to view the consequent spreads by scrolling. Figure below shows the Settings dropdown view. Figure below shows the More dropdown view. Citation - It is quotation from or reference to the book, citation data or link can be shared using Copy or Copy Link button respectively by selecting any one of the three citation formats like APA, MLA and Chicago as shown below. Print - Print selected pages of your book. When the user selects text for highlight, a context menu pops up where the user can create a highlight, note or copy the selected text as shown in figure(a). The user can add a sticky note anywhere on the document as shown in figure(b). On click of Notes, a popup with the data will be shown if it is an existing note. If it is a new note, it shows an empty note along with the color palette and the options to save and delete the note.